If your kitchen is a little worn out and in need of a revamp who can you get to fit it? Recognisable kitchen brands can be great for designing your perfect cooking space but when it comes to kitchen installation the cost can quickly soar. 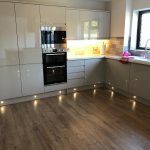 Here at Absolute Plumbing and Gas Solutions, we can provide a free quote at a competitive price for kitchen installation that covers the Dunstable, Luton and Milton Keynes area. Once you have decided on the brand of the kitchen you want and the design has been finalised, we can then begin to prepare for installation. After the design stage, we will arrange a home visit, to assess the kitchen so we can plan around any difficulties or pitfalls we may encounter. Then we’ll be ready to begin. We will contact you to arrange a suitable time convenient to you for the fitting of your brand new kitchen. Fitting kitchens is a disruptive process that can be stressful for the occupants. Our aim is to minimise the stress by carrying out the work as efficiently as possible while always maintaining quality workmanship. Our team of fitters are highly-skilled and ensure every joint is mitered correctly, and every worktop and until aligned to perfection. Our plumbing work is second-to-none and the finished kitchen we’re sure will leave you highly satisfied. Once our fitters have completed the installation, we will review the finished job to ensure that everything is as you would like it. 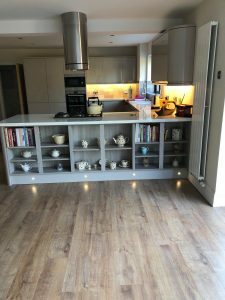 Once you are completely satisfied, then we will sign-off the project and you will be able to enjoy the many customers in the Dunstable, Luton and Milton Keynes areas who have benefitted from our expertise and professionalism.